Before anything I would like to extend my gratitude to @thank_you_wes for generously trading the J160 you see pictured. Also thank you to the companies that made this possible. Support your local community and support companies that support you! 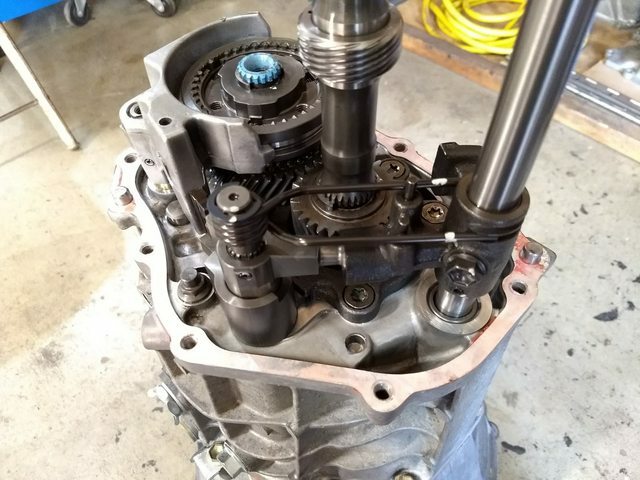 SQ Engineering makes an adapter plate (as well as many other necessary items) to bolt the AZ6/J160 6 speed manual transmission from either the 1GFE or BEAMS (Altezza/IS200) behind a 4AGE engine. 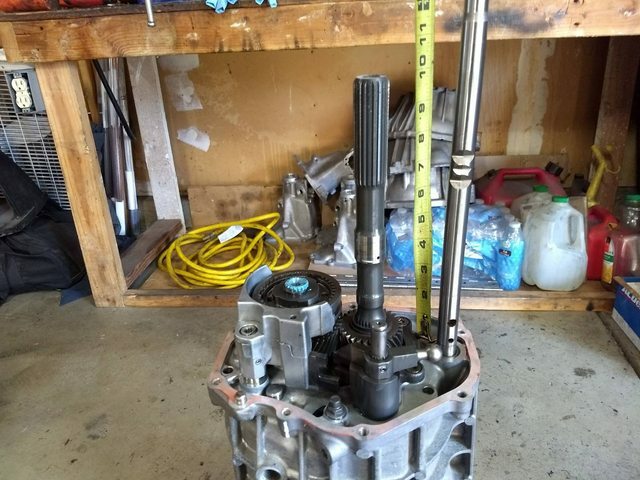 I will be performing this swap using a BEAMS J160 and will be documenting my findings here. 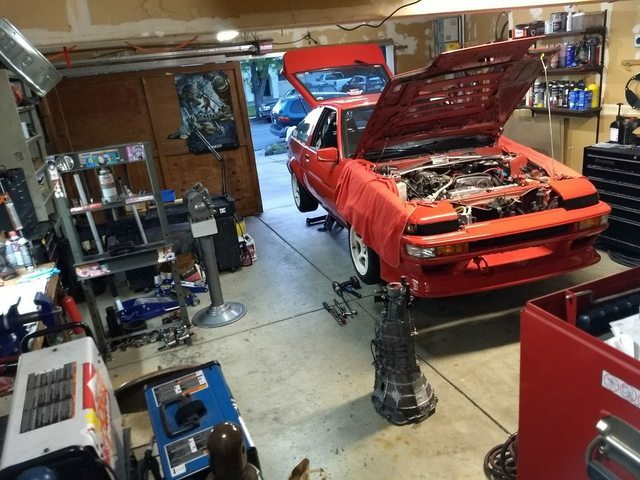 One area that has not been well documented is the 6th gearset swap from the Nissan S15 Silvia AZ6 into a J160 AZ6. 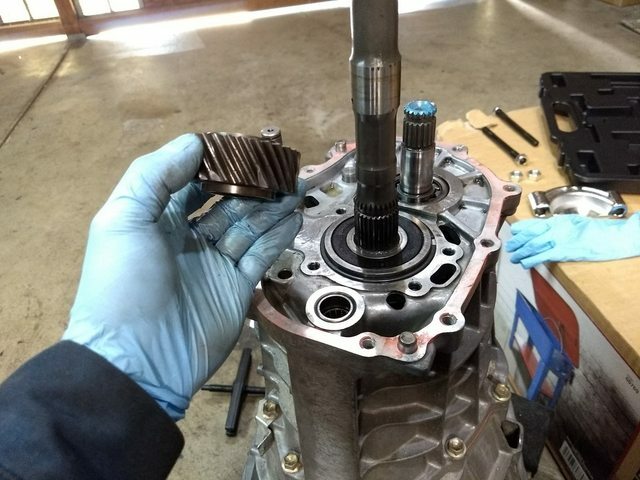 The purpose of this gearset swap is to reduce highway RPM's due to the S15 AZ6 having the tallest 6th gear set. Here are some 5th/6th Gear ratios for comparison. Here are the Nissan PN's. You will need 6th main gear, 6th counter gear, 6th Syncro (optional, buy highly recommend). This will not be a comprehensive guide to the 6th gearset swap (obtain and study the Altezza and S15 manuals respectively! ), but rather some insight on what to expect and my personal findings. 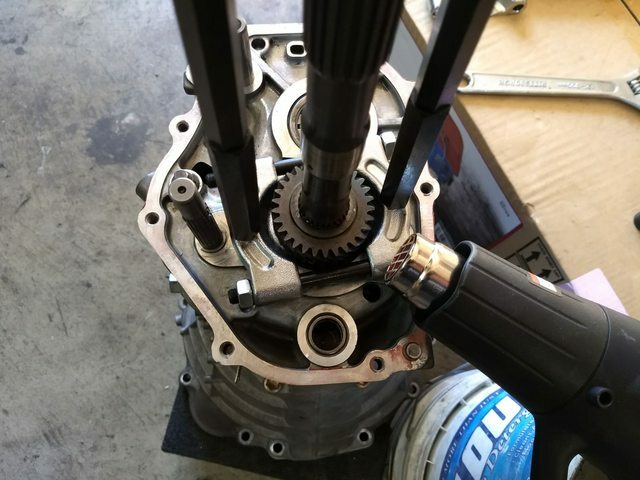 My goal is to perform the 6th gearset swap by removing the tailshaft only! Measuring the for the length of puller arms I will need to pull off 6th main gear (10-11" reach). 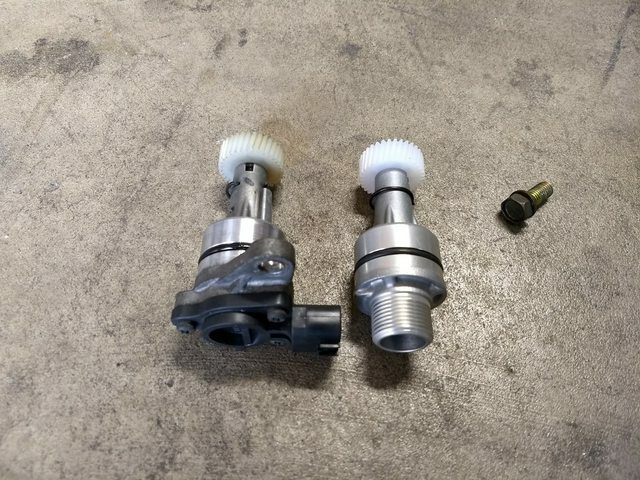 OEM 27016 puller set used to pull off hub. 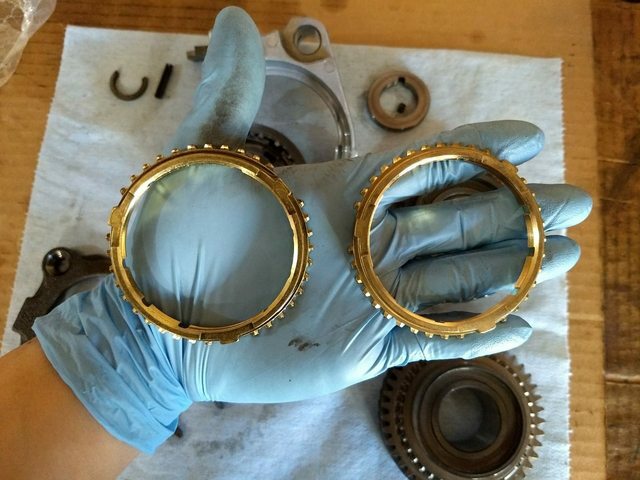 (Hub and fork will come off and on together). S15 and Altezza Syncros are essentially identical. 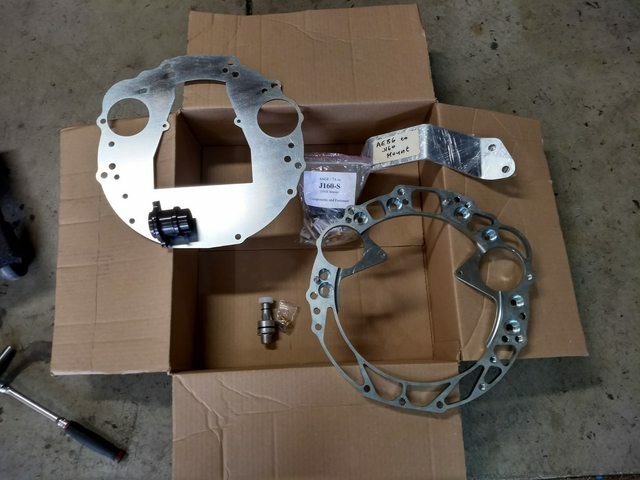 Pretty big deal depending where you are geographically and how difficult it would be for you to purchase certain foreign market parts. 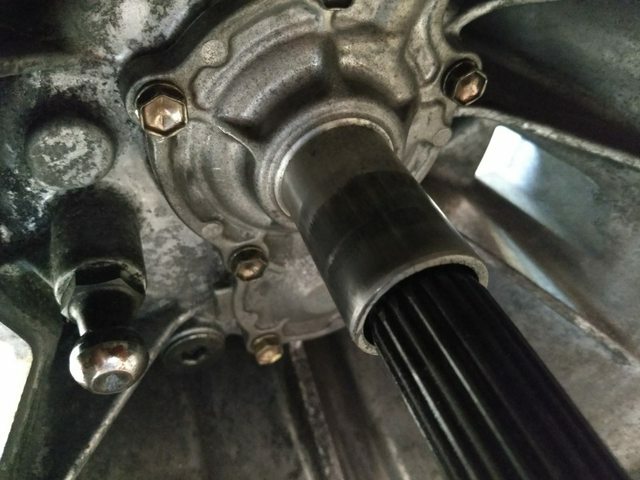 S15 6th main gear (top) splines are also correct for J160 output shaft! good to finally see this written up! oldeskewltoy wrote: good to finally see this written up! In case you haven't seen the thread, Serendipity is doing pretty much the same. 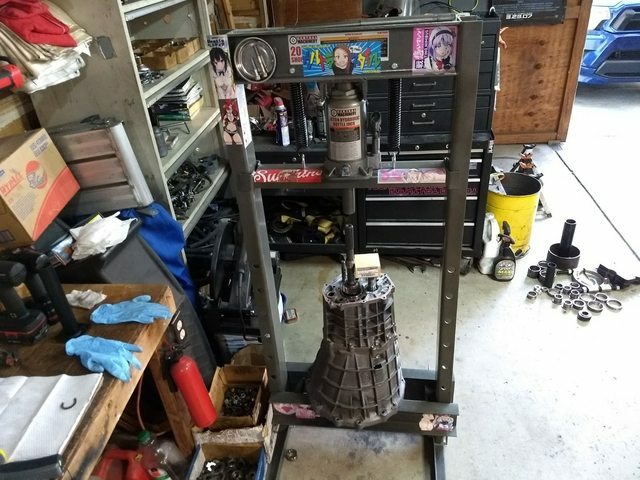 It looks like he is having a few shops do the work for him (not trying to discredit him at all), so I assume the trans tear down may not be documented as thoroughly; although I hope it will be. I'd like to see it done the "correct" way haha. Interesting write up. I might have to do this swap in there future, good to know! It took me a few attempts and a lot of thinking/research, but I finally pulled off 6th main gear today. 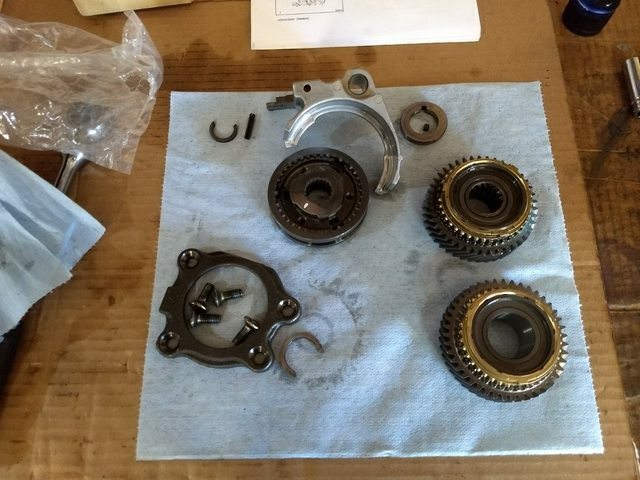 I tried modifying a set of puller arms, but they ended up breaking gear teeth instead of pulling the gear. (There is only approx. 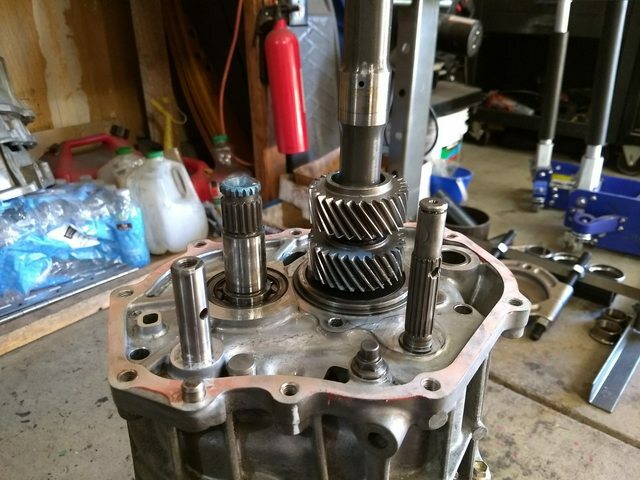 5mm between 6th gear and the rear output bearing. 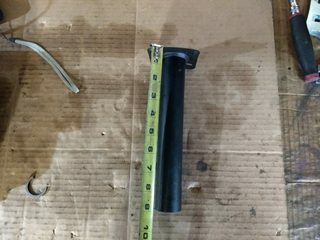 I ended up buying a gear/bearing puller set from Harbor Freight (includes two different size bearing splitters). I also used a heat gun on the gear which ended up helping a lot. 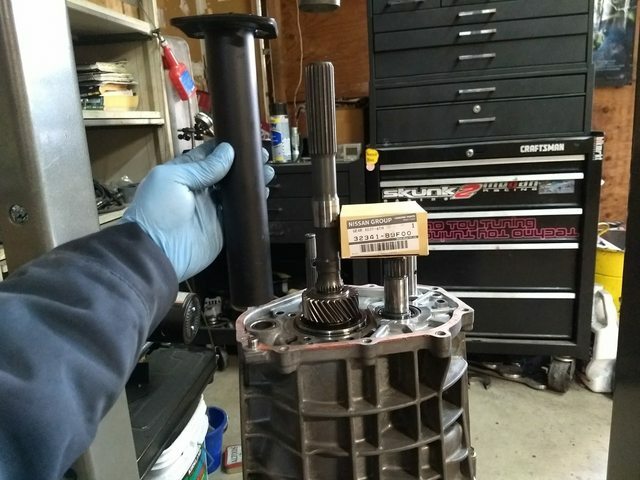 I also used OTC 8052 to protect the end of the output shaft. This is how I set it up. The plan now is to set up my press so the entire trans can go between the press legs, heat up the gear to approx. 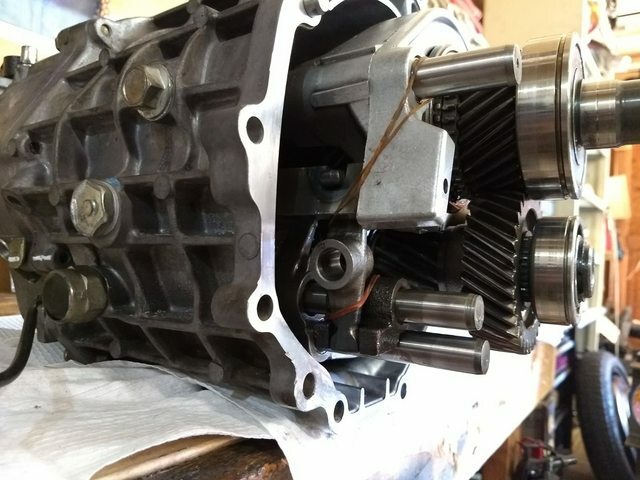 250-300 degrees F (I bought a single hot plate), and theoretically the gear should press on with minimal force so the rear output bearing is not damaged. Great success! Cold spell out here in the Bay means perfect time to press on 6th. 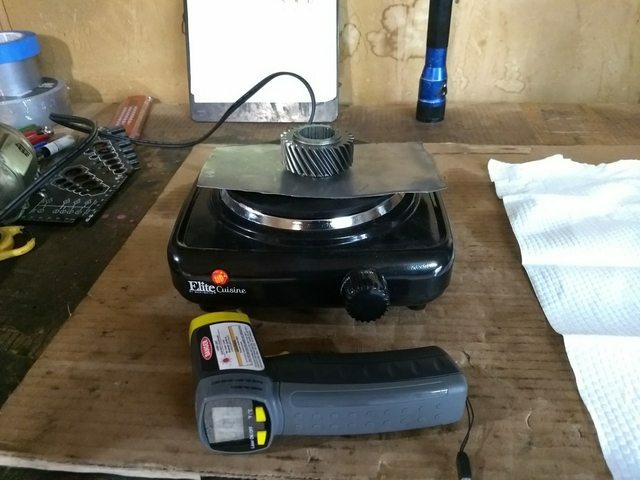 Heated gear to approx 230F using a hot plate and monitoring temp with a temp gun. 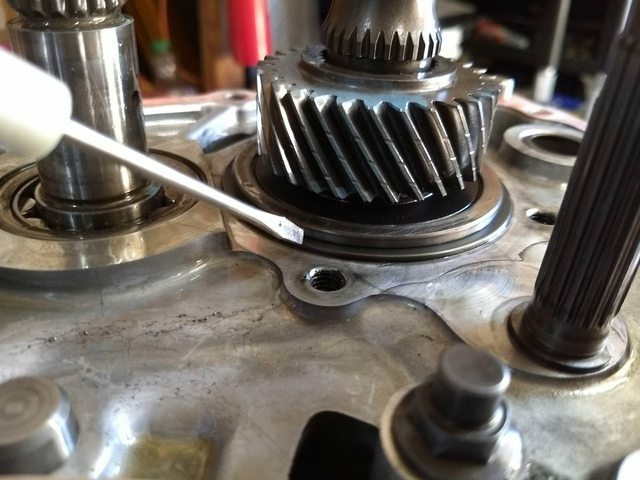 I found heating was really uneven on the gear (heating in an oil bath would have netted a more even gear temp...next time); ends of the teeth would be at like 250F, but center of gear would be at like 160F. Gear itself lost temp VERY fast (temp was approx. 80F once pressed on) so this was like a one shot do or die deal. 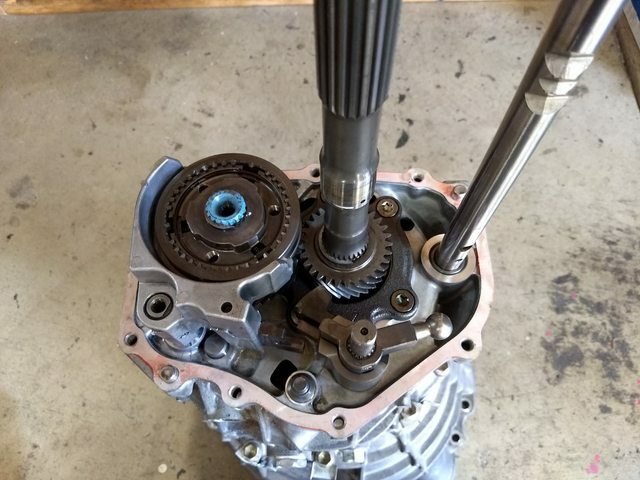 Again as a reminder, the service manual wants you to remove the entire shaft and support a forward gear when pressing on 6th. 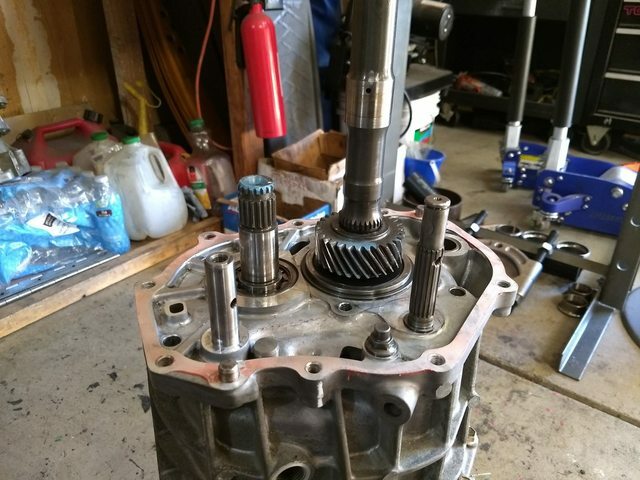 The way I did it, the rear output bearing outer race acts as a support (you are supposed to support the inner race), but heating the gear first allowed for minimal force to be exerted on the bearing. 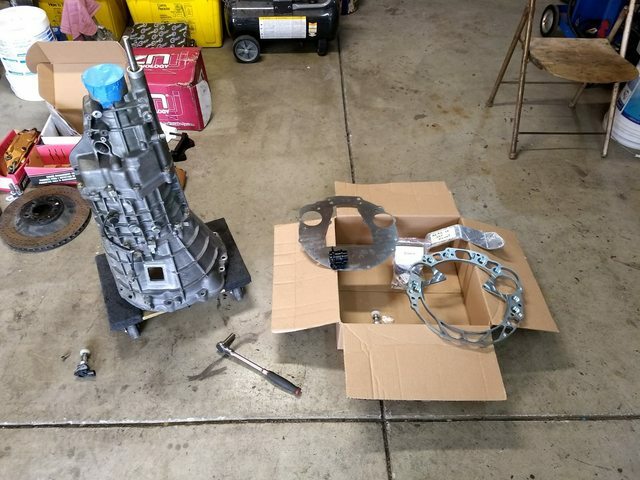 Assembled the rest of the trans and received my J160 swap parts from SQ via Battle Garage Racing Service today! FYI curiously enough, the J160 and W58 have a lot in common including input/outshaft shaft splines (accepts same driveshaft yokes/clutch friction discs) and speedo drive gear retainer (the paper clip looking thing that hold the speedo drive gear to the output shaft) Ive yet to confirm the actual drive gears are the same yet, but I wouldnt doubt it. 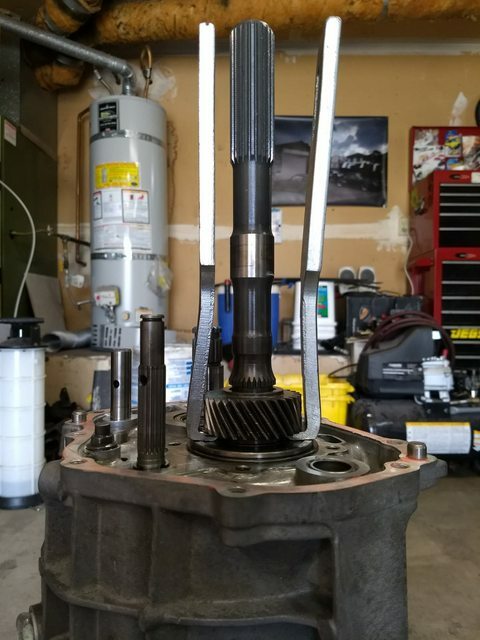 Could you direct me to a source for gear sets for Toyota C-160 transmissions? 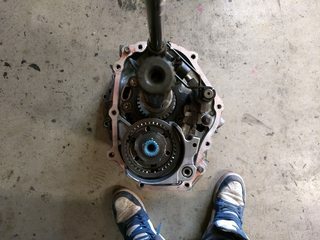 I’m looking for 3rd gear. Would be nice to find used boxes for spare parts. moonbeam807 wrote: Nice extensive write up. 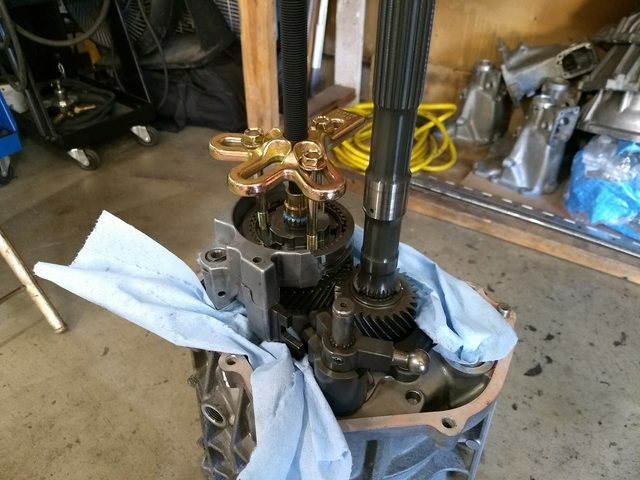 I don't deal with transaxles so I do not have a source, sorry. 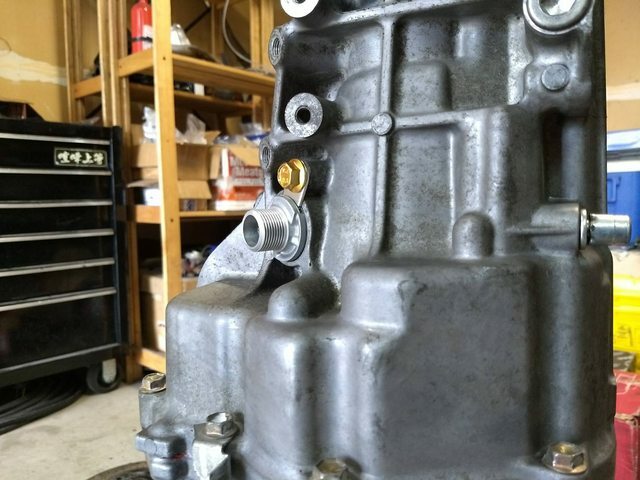 If you are looking for new parts, Battle Garage Racing Service is currently who I use for my parts importing needs. The trans tunnel is has "waves" in it rather than being smooth sheet metal. I ended up only having to hammer down this area flat. 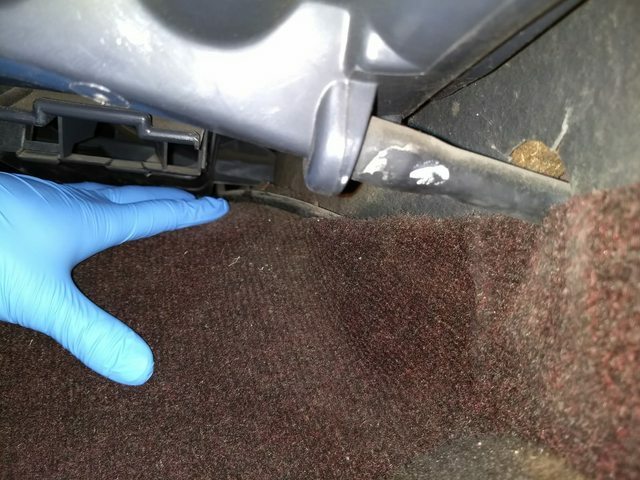 Here is the interior of the car where that section of tunnel is. As you can see, there is ample clearance for trans tunnel "massaging." 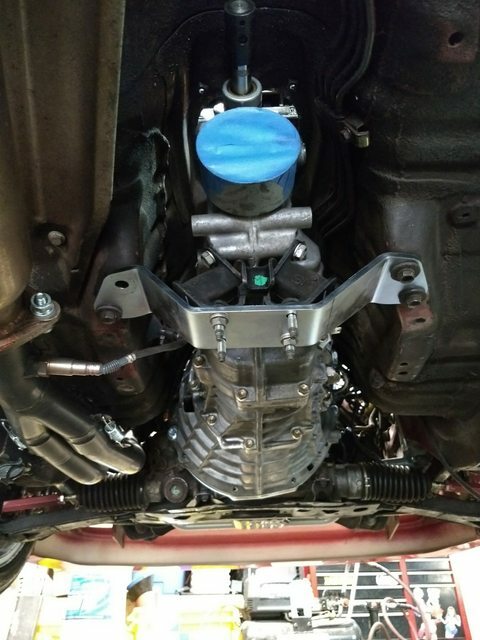 On vehicles retaining emissions controls, the vacuum line bracket that bolts to the rear water outlet will hit the top of the J160 bellhousing. 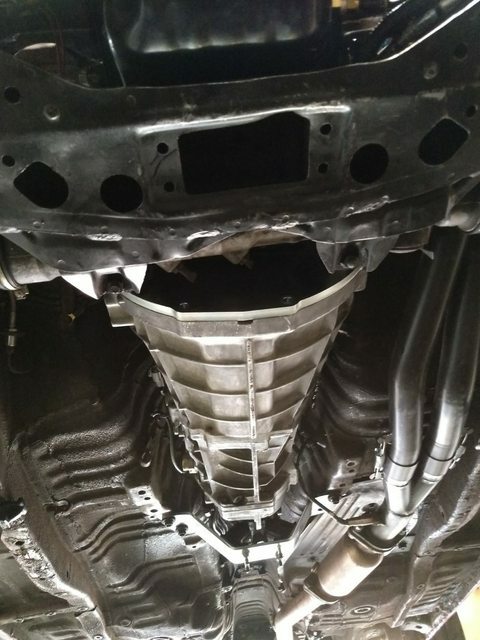 I simply unbolted this section and pushed it up; since this hardline assembly is hard mounted/bolted in another location I do not foresee this as being an issue. 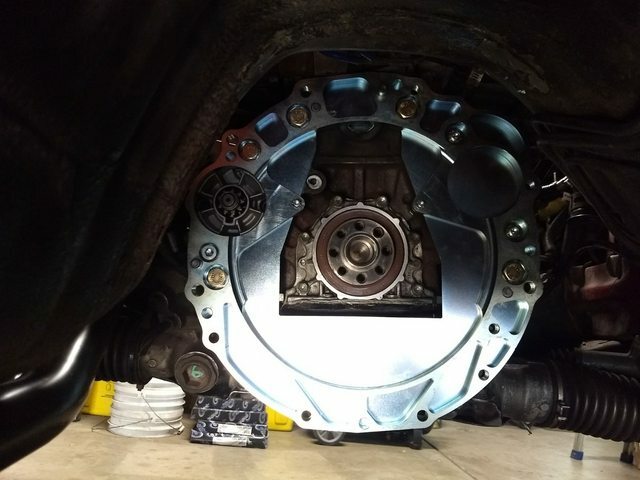 And here is the bellhousing and some clearance pictures. Please excuse the potato quality photography. 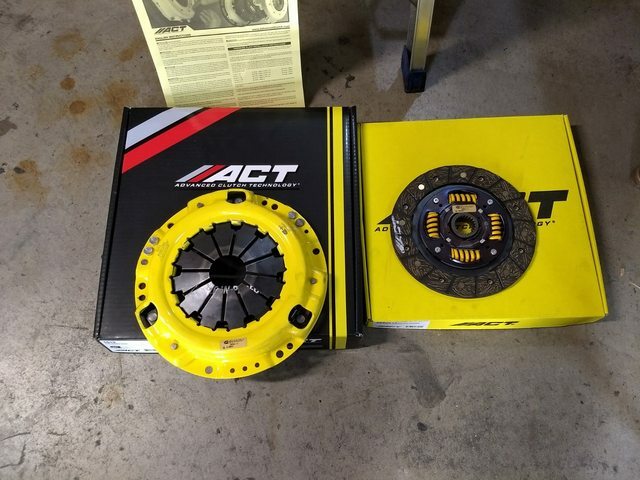 I will be using an uprated clutch friction disc and pressure plate from ACT. The friction disc is listed on BGRS's site as the W58 conversion disc. 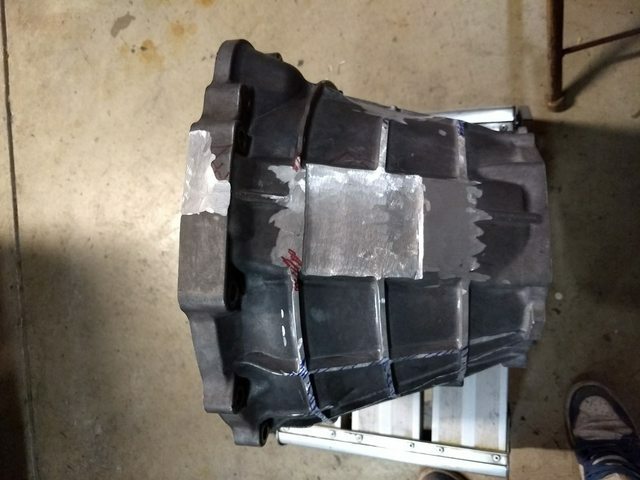 BGRS sourced me the pressure plate. The spigot (pilot) bearing extension is where I ran into an issue. For the life of me I could not hammer that thing in and I think this is why. 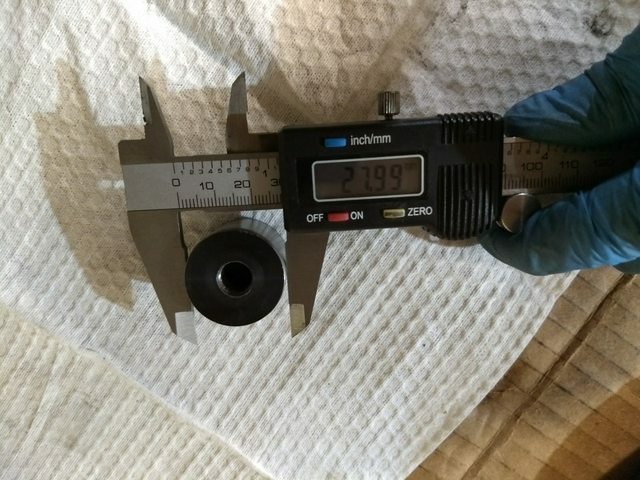 As you can see the SQ part OD is approx 28.09mm while the factory pilot bearing OD is approx 27.97mm. 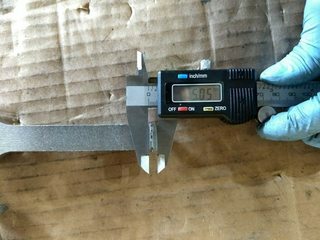 I would imagine 0.12mm is too much difference for a press fit item. 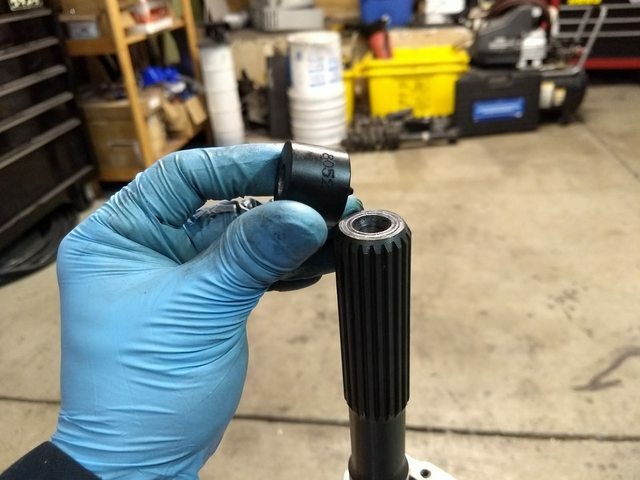 The back of the pilot bearing extension has an m10x1.25 hole so that you can remove it when needed. 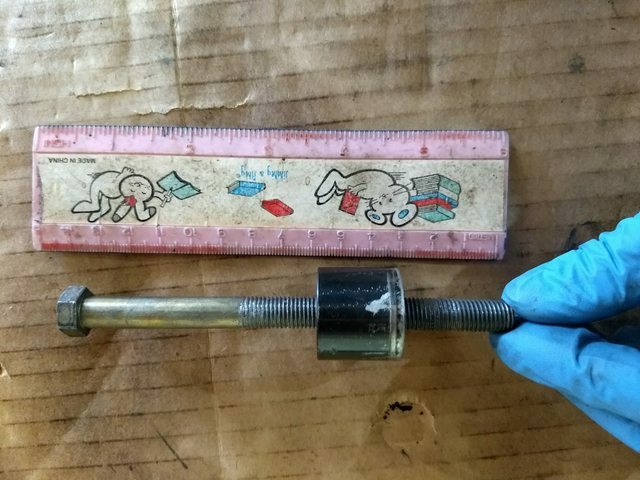 You will need a bolt with at least 70mm of thread. 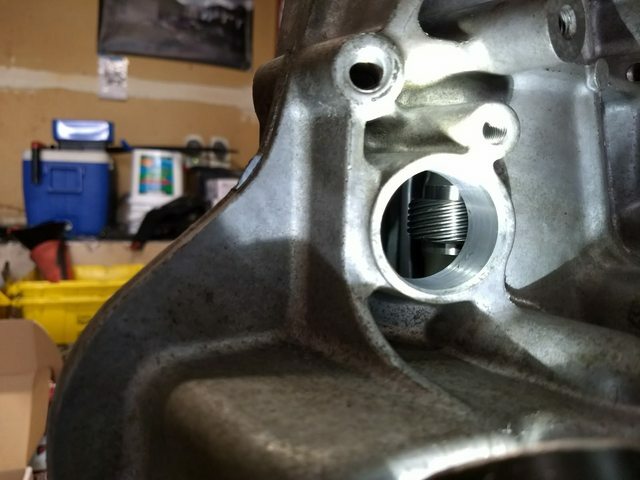 I didnt have one so I cut more threads on an existing bolt. (Anti-Seize, so the threads dont gall up). You can see the mark on the extension where it would not hammer in any further. Last edited by Autohaus_Z on Mon Apr 16, 2018 1:39 am, edited 3 times in total. 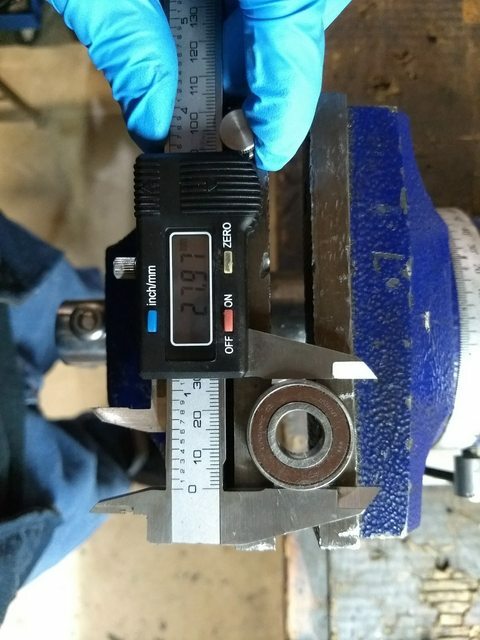 I ended up turning down the OD of SQ's pilot bearing extension to approx the OD of the factory pilot bearing. I contacted SQ and he promptly responded that a couple other cases of this same issue have been reported to him. 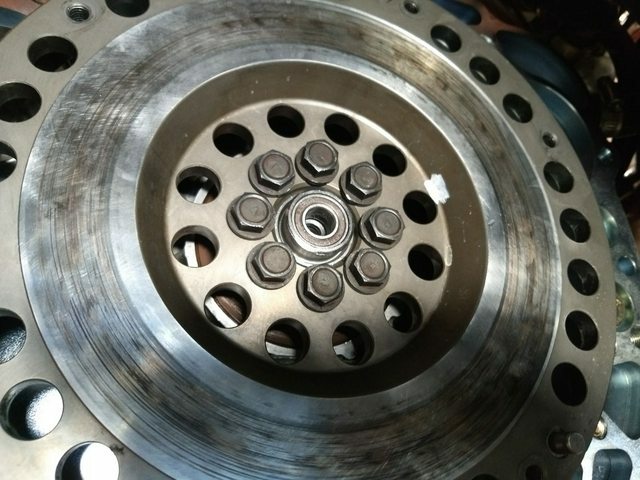 He reported back that this was an issue on the manufacturing side and he will check and correct all his current J160 and W5x pilot bearing extensions. He is sending me a new extension at no charge. 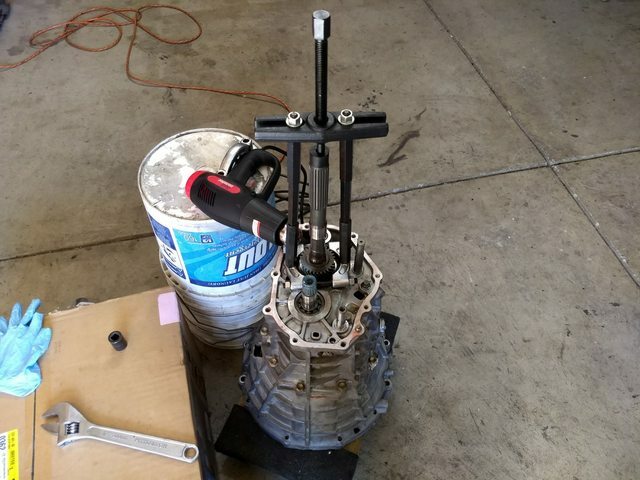 Props to SQ Engineering. Support companies that support you! 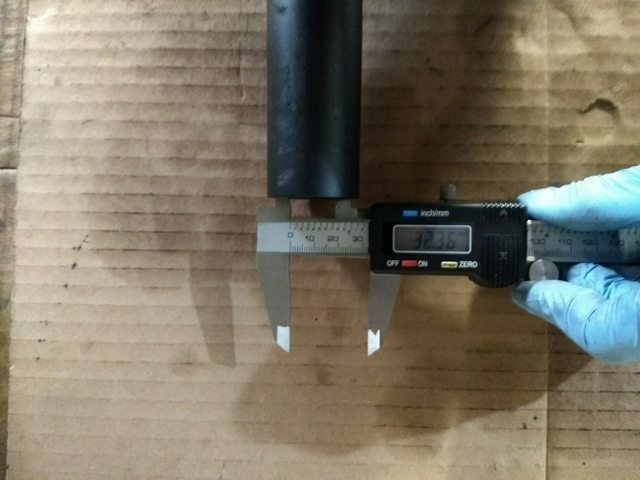 According to SQ, the pilot bearing extension should be installed until it measures "about 9mm from the top edge (of the bearing extension) to the outer edge of the crank"
About my average measurement. Close enough considering my measuring device and method. Shout out to Oldeskewltoy. 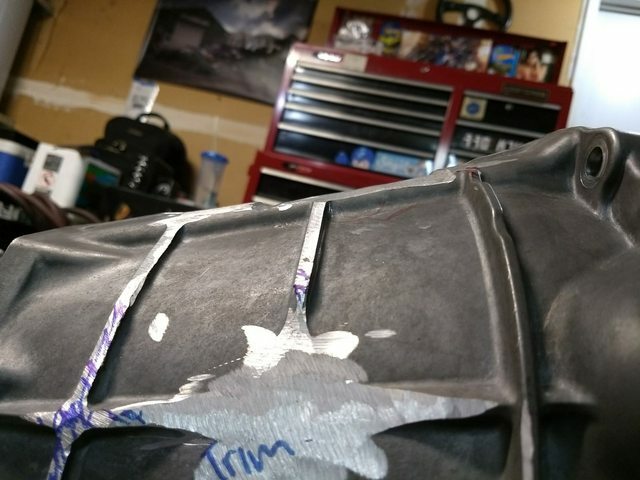 I found from his LEEN thread(s) that one shift pivot will need to be secured somehow since this trans is not supposed to be disassembled bellhousing first. 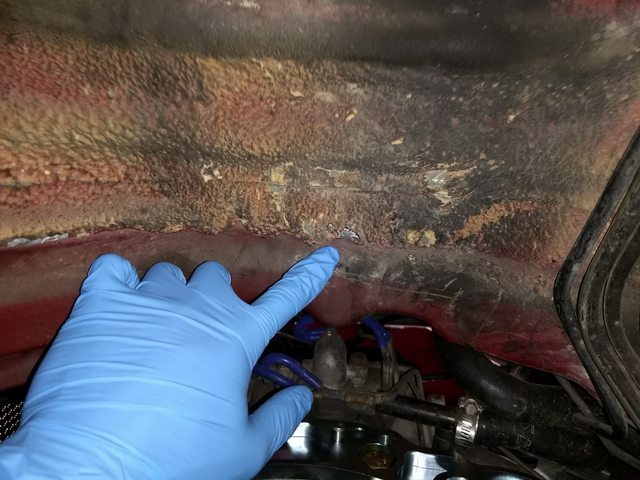 He used rubber bands with the theory being the gear oil will soften and disintegrate them at some point. I would agree, so thats what I did. If you dont follow me on IG this is my shop and my car. 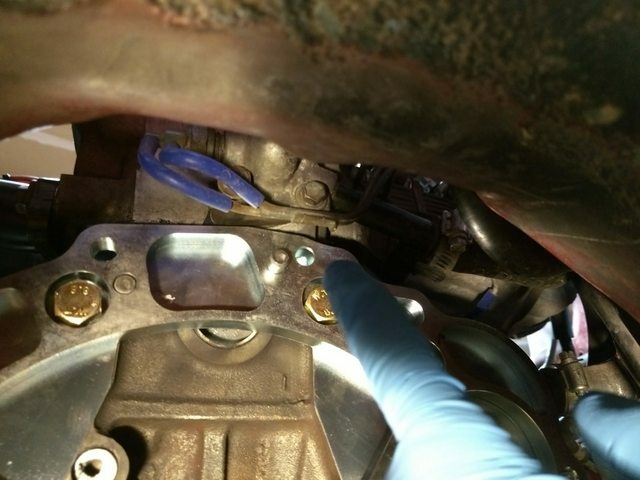 Trans dummy fitted to get a driveshaft measurement. 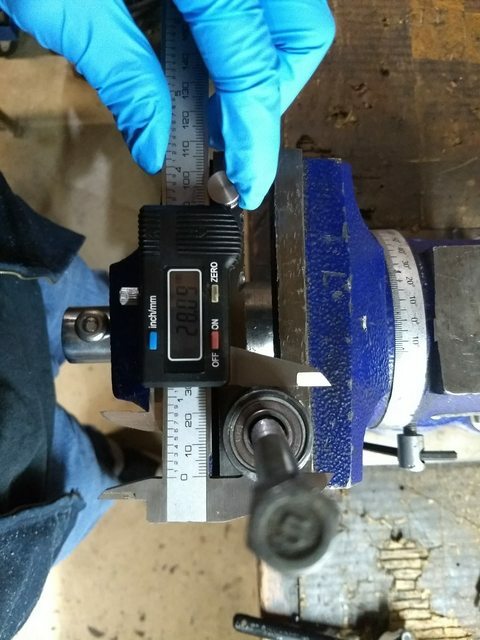 If you are getting a 2 piece shaft made, it is 18 1/4" from the output seal of the trans to the center of the center bearing. 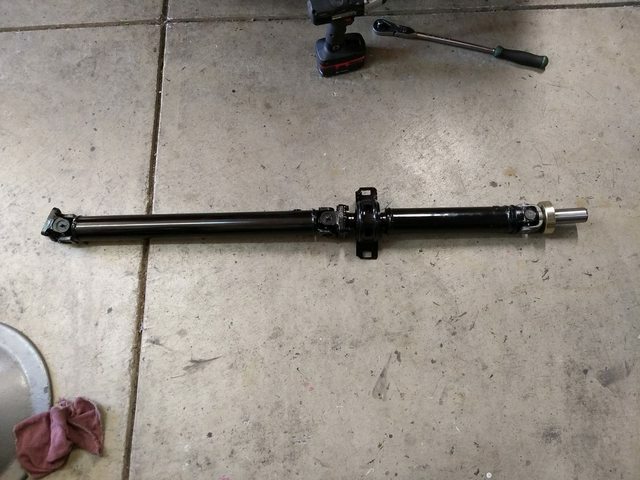 Got my driveshaft back today (Shout out to South Bay Driveline in SJ). 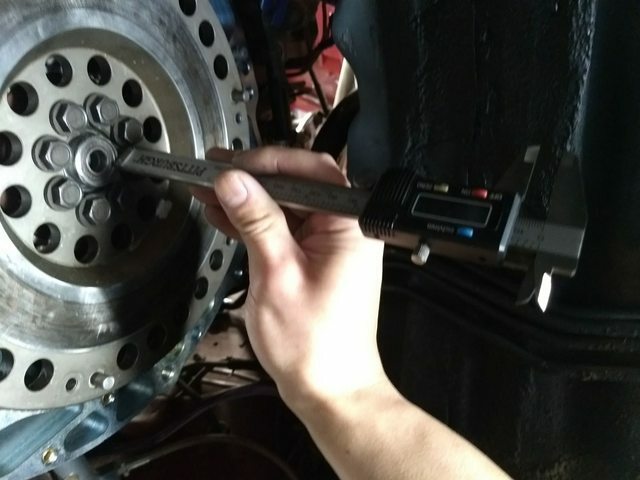 J160 and W5x input/output shaft (38mm 21 spline trans yoke) measurements are the same so if you needed a clutch alignment tool or dummy tailshaft to plug up the trans, any W5x should work. 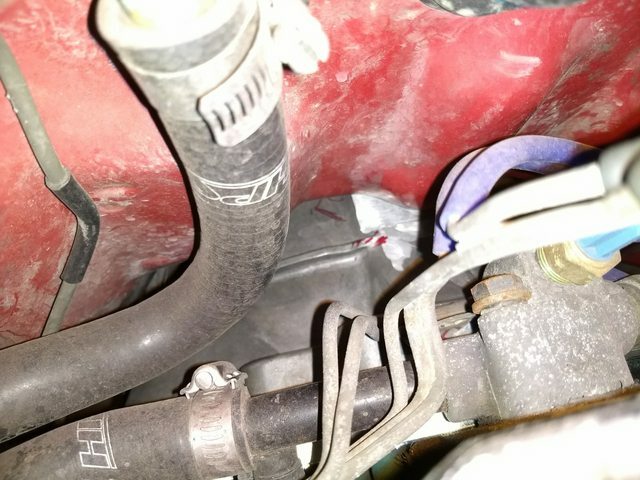 I spliced in some random Ford 2 pin weatherpack connector for the reverse harness. (Not worth the hassle of sourcing an Altezza body side reverse pigtail). 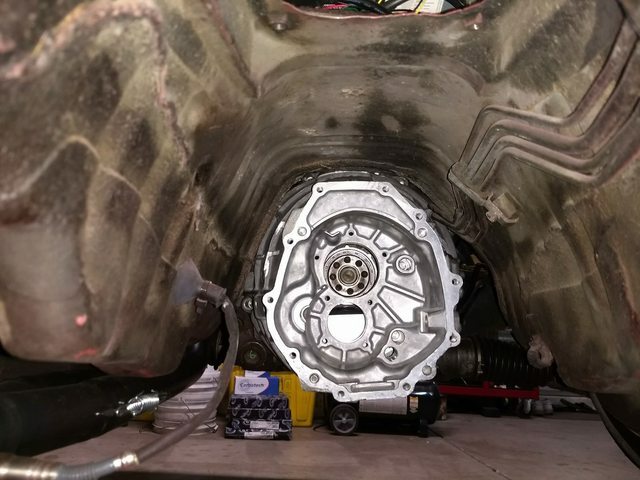 Installing the trans with the clutch assembly installed was tough. Subframe must be lowered. I also jacked up the front of the engine to point the rear down. 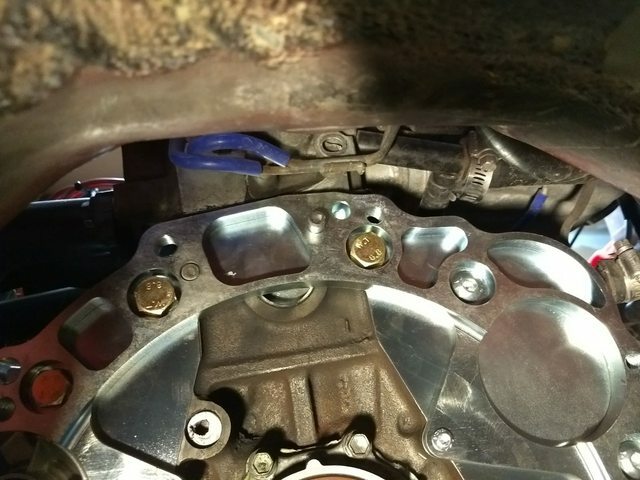 Tunnel clearance is VERY tight, I placed every bolt (except for the side 2) in the bellhousing before trying to fit the trans. 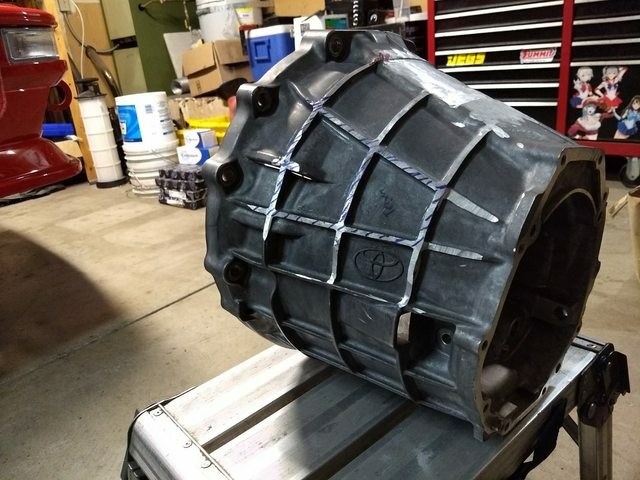 During dummy fitting, I learned once the trans is fitted in the tunnel it is next to impossible to then fit the top bolts into the bellhousing holes until the trans is completely seating against the engine. Last edited by Autohaus_Z on Thu May 10, 2018 12:38 am, edited 1 time in total. 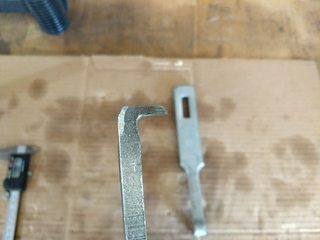 I had a "binding" and/or rough sensation in my clutch pedal and Im pretty sure I figured out why. Ended up pulling the trans back out. 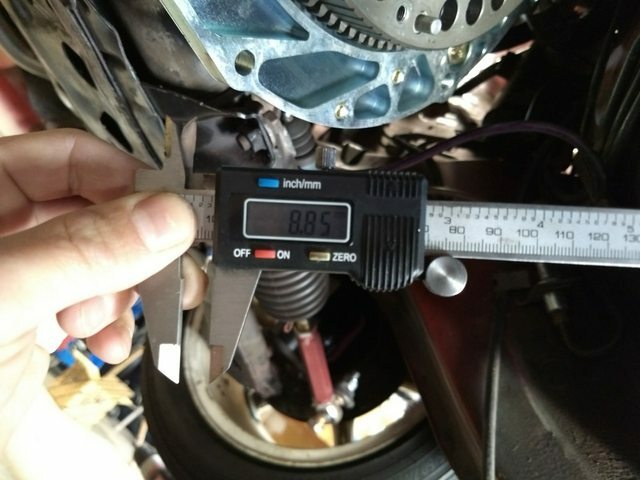 Comparing the stock J160 snout and SQ's extended carrier, the air gap between the two parts is approx 0.18mm. 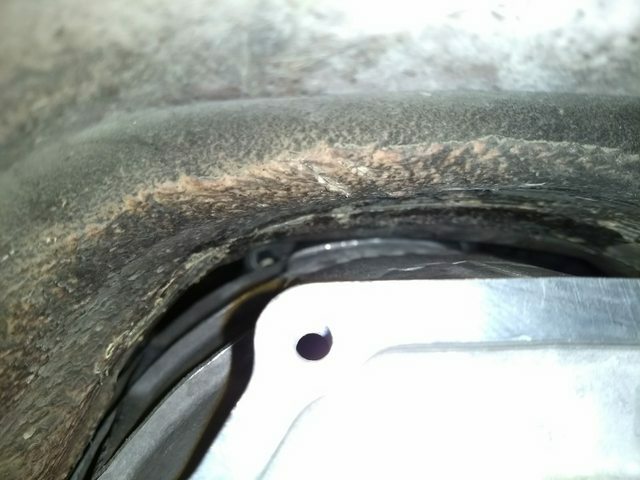 You can see the rear most portion of the J160 snout where the original throwout bearing never rode on, but now, the SQ carrier extends back to and slides on this unworn portion. On this unworn portion of the J160 snout and in the ID of the SQ carrier, you can feel the grooves from the machining process. 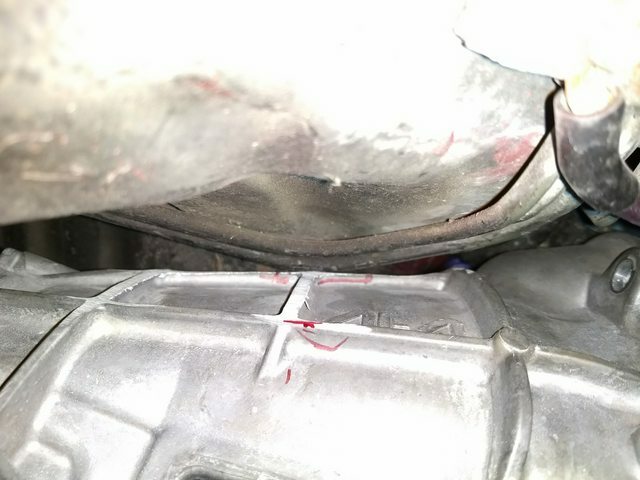 I think what is happening is that the grooves are catching on each other and creating the rough/binding feeling in the clutch pedal. Im going to polish out both surfaces until I cannot run my finger nail through the machined ridges. I estimate approx 1000 grit, but I will report back.